Dr. Mung was raised in the sunny state of California. She decided to move out to Saipan after feeling called by God to serve as a dentist abroad. 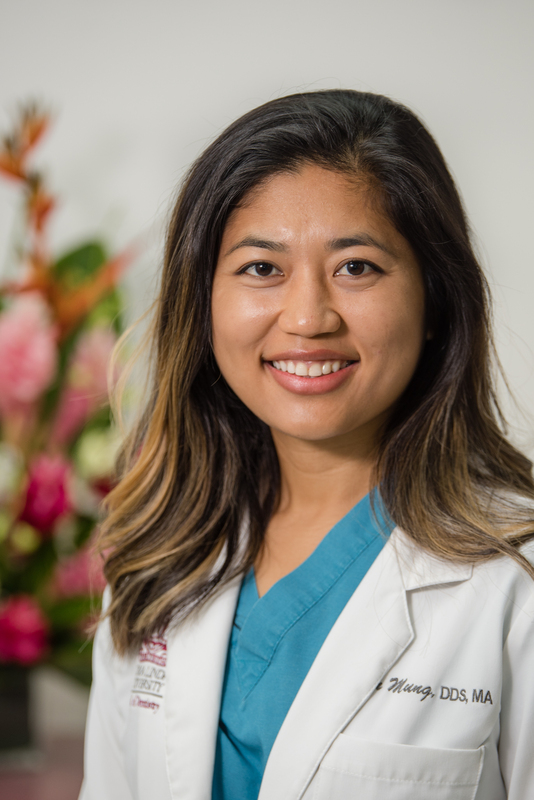 She first graduated from Loma Linda University with her Bachelor Degree in Dental Hygiene and then later on, went back to school to graduate with dual degrees in Doctor of Dental Surgery (DDS) and Master of Arts in Bioethics (M.A). Her experiences in the dental field has shown her the impact dentistry can have on a person’s self-esteem, quality of life, and overall health, and she loves that she gets to be a part of that. Dr. Mung is a member of the American Dental Association, California Dental Association, Academy of General Dentistry, and a board member of the National Association of Seventh-Day Adventist Dentists. In her spare time, Dr. Mung likes to go on adventures around the island. She enjoys hiking, snorkeling, and scuba diving. Although she has only been on the island for less than a year, she already feels like a true local here and she’s grateful for the community that has welcomed her. She is so excited to meet her patients and hopes to make an impact here on the island.